Clear blue sky, cool breeze, carpets of green plantations, snow covered mountains, starry night sky and if you are in luck shower from the sky are few of the things which welcome you to the Hillstations in India. 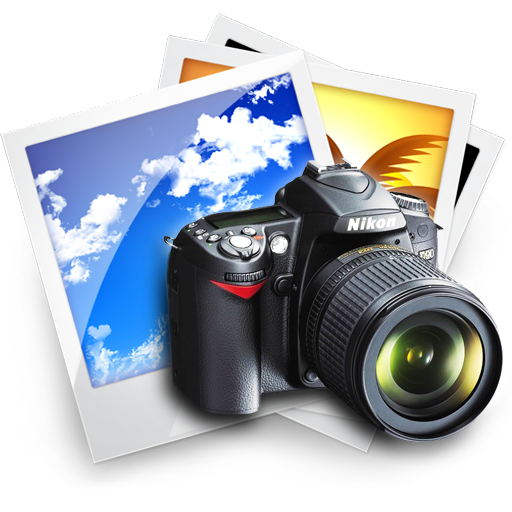 Hill stations in India spread over its many territorial states are counted amongst best summer vacation destinations. Ideal hotspots for Honeymoon, adventure sports or summer holidays the Indian hill stations with their rich geographical topographical diversity give holiday makers a bouquet of choices. Enchanting and picturesque Indian hill stations have evolved into a landscape that offers tourists with fresh, relaxing and rejuvenating atmosphere. In addition to a rejuvenating break from the city life, Hill stations in India also offer a break from mundane daily routine with bustling mall roads, scenic locales, exciting adventures and local cuisines. 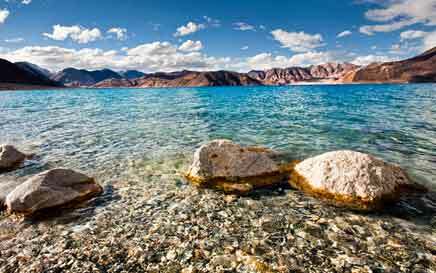 Ladakh Nature has bestowed a purely majestic beauty to this highest Himalayan terrain, Ladakh. of the Karakoram range and the mighty Himalayas. 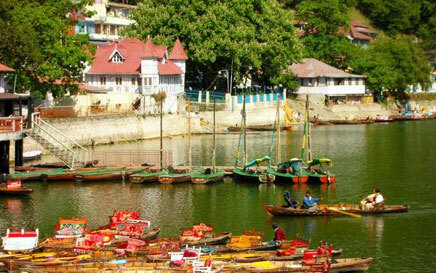 Situated at a height of 11,000 feet above sea level, it is also the Buddhist capital of North India. Srinagar This spectacular hill station is located in the heart of the Kashmir Valley at a height of 1,730 m above sea level. 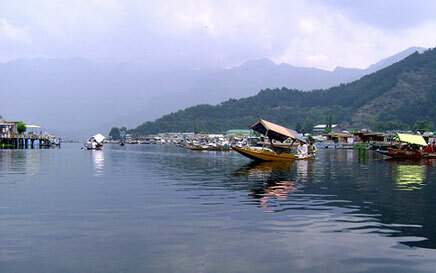 The beautiful rows of houseboats floating on the Dal Lake, Nagin lake and Anchar Lake enhances the picturesque setting of Srinagar. 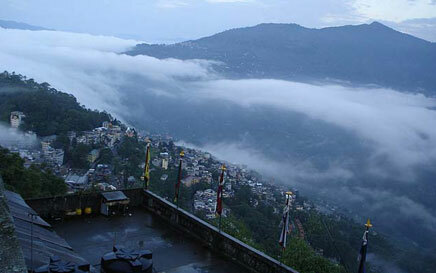 Gangtok Gangtok, the capital of Sikkim is the "lofty hill" set amidst the mist and clouds of the splendorous and magnificent view of the Himalayas. The abominable snowman and the legendary Yeti have been legends of a long time. Darjeeling The name of this hill station Darjeeling came from two word 'dorje and 'ling', meaning thunderbolt and place respectively. 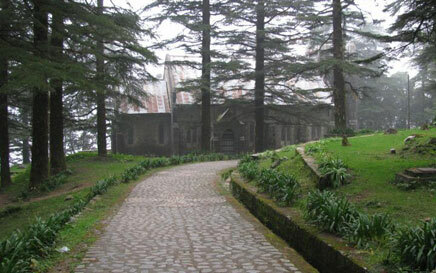 Situated at a height of 7053 ft above sea level, the climate of this hill station remain cold throughout the year. The best time to visit is from March to mid June and September to mid December. 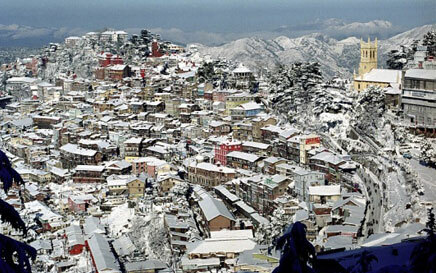 Shimla Situated at an altitude of 2213 m above sea level, Shimla derives its name from goddess 'Shayamla Devi', another form of Goddess Kali. Also known as the 'Queen of the Hills', its natural beauty surrounded by green pastures and snow-capped peaks, green valleys, the beauty of its trees, pine, oak and deodar and its beautiful weather attract the tourists throughout the year. 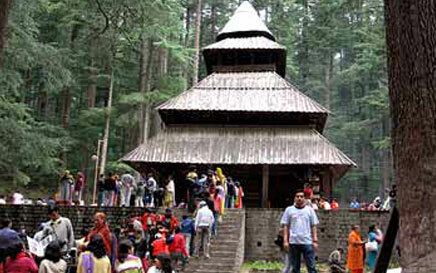 Manali Situated in the Himachal Pradesh Manali stands at an altitude of 1,950 meter. 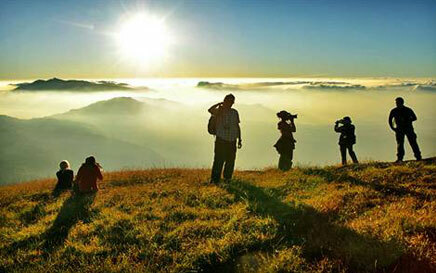 This enchanting valley is so picturesque that it has earned the name 'Switzerland of India'. This hill station is blessed with nature's finest gifts like the sky touching mountain peaks, the kingdom of clouds, the colorful valley and the lush green vegetation. Mussoorie Located in the great Himalayan range, at a height up to 2500 meter above sea level, Mussoorie is located in Uttranchal in North India, on the Himalayan foothills. It gets its name from a shrub, Mansur, which is abundantly found in this place. The nearby snow-clad peaks offer breathtaking scenic beauty to this beautiful hill station. Dalhousie Dalhousie, spread over five hills of Kathlog, Portreyn, Moti Tibba, Bakrota and Balun, has its own typical flavor. Named after the famous British Governor, Lord Dalhousie, it has charming architecture and scenic beauty of both plains and the snow-capped views of the mountains. 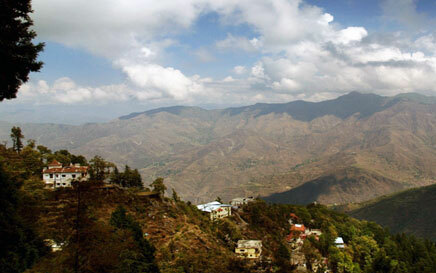 Dharamshala Another beautiful hill station in Himachal Pradesh, Dharmashala is well known for its Tibetan settlement. 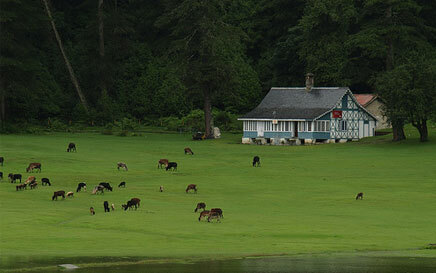 Also referred to as the "Scotland of India'. A nearby snowline makes the surrounding very attractive. The mountains enfold it from three sides. Nainital Also called the Lake District of India, Nainital is situated in Uttarakhand, at an altitude of 1,938m above sea level. Some believe the hill station got its name from the goddess Naina and some believe it is probably the Naini lake that lends its name to the hill station. 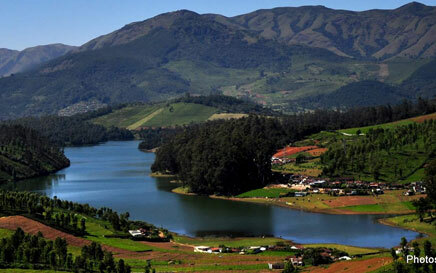 Ooty This beautiful and famous hill station nestles in the Nilgiri Hills and is located in the midts of for hills - Doddabetta, Snowdon, Elk Hill and Club Hill. 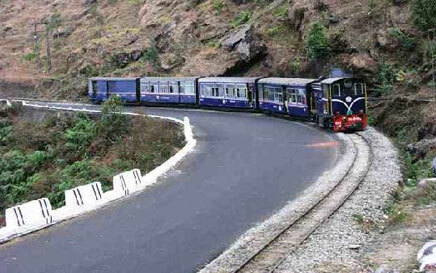 Also called the Blue Mountain, this hill station is situated at the crossroad of Tamil Nadu, Kerala and Karnataka. Munnar Munnar, in Kerala, is located at the merging point of Nalthanni, Kundale and Muthirapuzha that meets the Periyar and joins the Arabian Sea. It is as lovely as the indigo "Neela Kurinji" blossoms that bloom in this region, once every 12 years. Most tourists favor Munnar because of the panoramic views, the clean surroundings and the refreshing mountain pastures and is a complete soul spa. 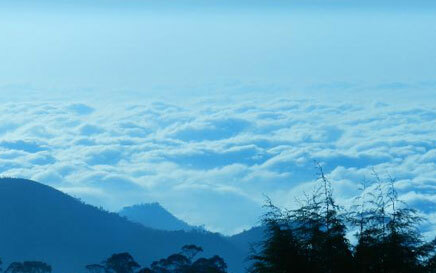 Kodaikanal A favorite hill destination for holidayers and honeymooners, Kodaikanal, in Tamil Nadu, is a treat to the eye. Also known as Kodai, it is a delightful hill station that has retained its untouched and pure beauty and has many magnificent landscapes. Mahabaleshwar Located in the Satara District of Maharashtra, Mahabaleshwar is also known as the queen on all Hill Stations due to its enchanting scenic beauty. 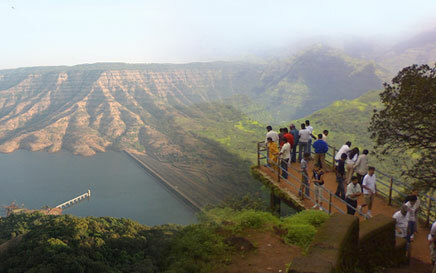 Mahabaleshwar is situated at a height of 1372 m above the sea level.